Here it is, the long awaited Membrane Demo! Featuring the full first level of the game! Can you discover what has been happening in this underground lab? This level is packed with secrets! Arm yourself and see if you can survive to the end. Membrane comes with a launcher to easily connect to Multiplayer games over TCP/IP. Play with your friends in cooperative mode! 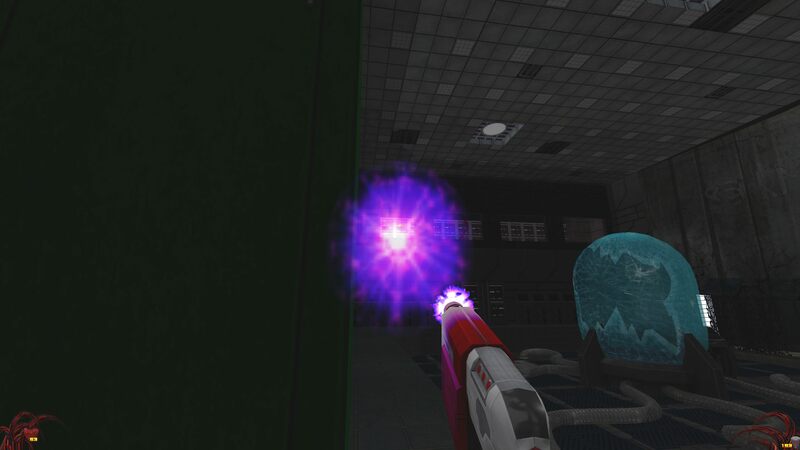 Membrane is a retro style game that is a throwback to classic First Person Shooters of the 90's! 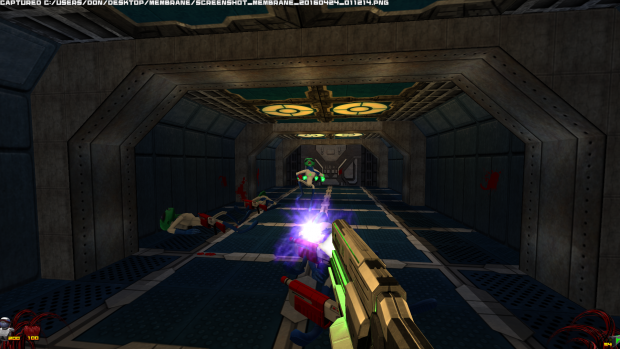 Featuring fast gameplay, expansive labyrinthine levels, with fun sci-fi weapons and powers. Pretty cool stuff! I thought the jagged animations of the alien grunts was a bit weird at the beginning, but it actually really fits in the mood. Funny thing about the animations... The engine interpolates the weapon models very nicely with only a few key frames. The other actors not so much, unfortunately I used the same logic when making them. By the time I got to the player model I was exporting nice smooth animations. Basically I have to go back and add frames to the enemy models. The collision thing I will look into. It's coming from the projectile being fired from the center of the screen, I may be able to move it to the right to match the weapon model. Anyway, it seems the installer and the launcher worked fine for you, so that's a plus! I enjoyed playing through this. Super-fast-paced fun that felt appropriately 90s, plus lots of neat ideas and puzzles. Like FastGamerr I had trouble in that room with the first ventilation duct, more because I forgot you could crouch to get through the windows! The only other place I was stuck for a while is getting out of the later room where you get a new power. The answer seemed a little odd, but fair enough I guess. Dude that was an awesome play-through video! I am totally linking to this everywhere. I might have to make that vent easier to get into >.> Here is a tip for the secrets: Try to get on top of the tanks with people in them.